Harari’s non-fiction book isn’t as much a history as an exploration of the human characteristic that enabled us to dominate the world — and it has little to do with opposable thumbs or big brains. While it’s sometimes a tedious read, the ideas he presents are truly eye-opening and worth exploring. For countless millennia humanity consisted solely of small bands of hunter-gatherers. Then, in a very short period of time, we became the dominant force on planet earth. What changed? Humans developed the ability to believe in things that exist only in our imaginations — things like government, religion, and corporations. That’s a pretty big concept to wrap your head around. Your first response is, naturally, “Of course they exist!” Harari thoughtfully lays out his case claiming otherwise. Then he demonstrates how each “advancement” in human society is the result of that ability. It’s all fairly mind blowing. 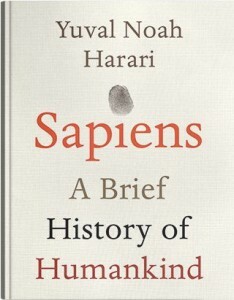 Harari mainly uses the path of human history, from hunter-gatherer through the agricultural, industrial, scientific, and information revolutions, to support his claims. He’s pretty convincing. 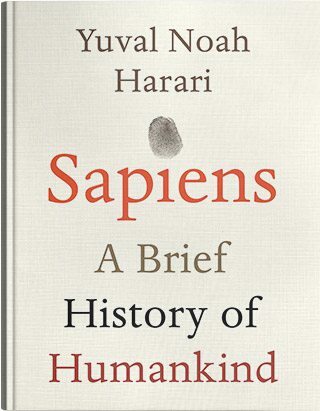 For more about Harari and this book, click here.